With little in the way of markets moving catalysts, global indices tended to plateau overnight after a strong end to the previous week. 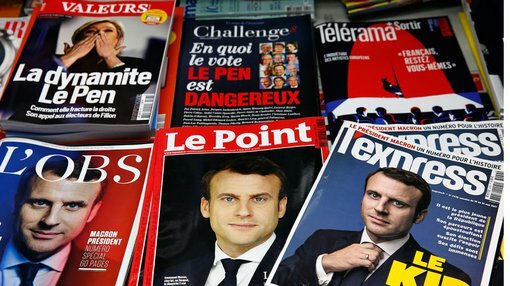 Indeed, in France it was a case of buy the rumour, sell the fact as the index tumbled nearly 1% following confirmation of a Macron victory, a welcome but one result that had been factored into the market with a gain of circa 400 points in the Paris CAC 40 over the previous week. The DAX also lost momentum, falling nearly 0.2% to close at 12,694 points. The FTSE 100 was flat, closing at 7300 points. In the US, the Dow spent most of the day in negative territory before eking out a small gain in the final minutes of trading to close up five points at 21,012 points. The NASDAQ finished flat at 6102 points. Even the oil price tended to settle, trading in a range between US$46 per barrel and US$47 per barrel and finishing at the exact midpoint of that range. Gold was also flat, remaining at US$1226 per ounce. However, there was further weakness in the iron ore price as it fell 2.6% to US$60.15 per tonne. There was also volatility in the base metals space with copper falling from US$2.52 per pound to US$2.47 per pound, on the verge of hitting a six month low. Elsewhere in the base metals space, movements were slight with nickel and zinc gaining nominal ground to finish at US$4.13 per pound and US$1.18 per pound. Lead fell nearly 1%, closing at US$0.98 per pound. The Australian dollar revisited the previous week’s sub US$0.74 lows, and its movements will be an interesting guide as to how tonight’s federal budget is received.